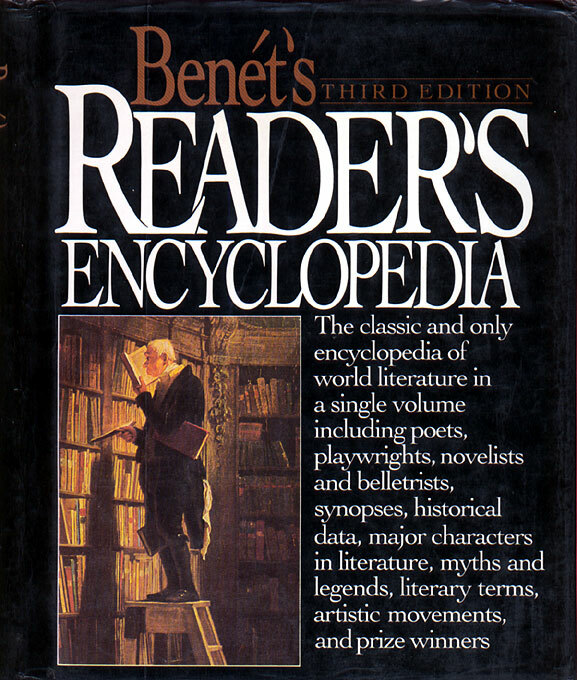 Benet's Reader's Encyclopedia 3rd ed. Entry for Crews includes this terse summary: "American novelist and journalist, Crews, a Southerner, writes with a biting, sardonic humor about obsessed, decadent, or grotesque characters in bizarre situations." Charles Reagan Wilson & William Ferris, editors. University North Carolina Press, 1989. Pages: 950. Provides an encapsulated appreciation of Crews's contribution to "the Americanization of the South and the Southernization of America." Touches on Crews's magazine contributions, his novels, and his autobiography. DeBord notes two themes common to Crews's work: the struggle of an individual with the self and society and, more specifically, the struggle of the individual against the encroachment of a standard and generic culture. American Writers: Supplement XI: Toni Cade Bambara to Richard Yates. Quotable South: A Compendium of Eclectic Quotes About the South, The. The Salon.com Reader's Guide to Contemporary Authors. A general introduction to Crews and his work. In his "See Also" Garner writes, "In a better world, Harry Crews's cult following would surpass that of another bare-knuckled writer, Charles Bukowski." Contemporary Literary Criticism: Excerpts from Criticism of the Works of Today's Novelists, Poets, Playwrights, Short Story Writers, Scriptwriters, & Other Creative Writers, volume 23. Search Gale's online Literary Index for more on Crews. 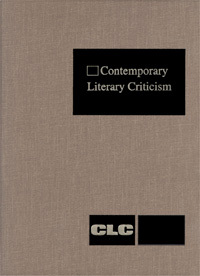 Contemporary Literary Criticism: Excerpts from Criticism of the Works of Today's Novelists, Poets, Playwrights, Short Story Writers, Scriptwriters, & Other Creative Writers, volume 49. Daniel G. Marowski & Roger Matuz, editors. St. James Press (Gale Group), 1998. From the publisher: "This single title far surpasses competing resources with its 250 biocritical, signed entries on today's most frequently studied Southern novelists, short story writers, poets, dramatists, editors, journalists and writers of nonfiction. And, by carrying on the highly praised St. James tradition of excellence Contemporary Southern Writers provides students of literature with a one-stop, comprehensive academic reference created specifically for students, instructors and librarians." The Book Lover's Guide to Florida: Authors, Books and Literary Sites. Pages: 45, 46, 157, 207, 376, 377, 378. Tracks Crews to Jacksonville, where Car, The Gypsy's Curse, and Scar Lover are set; to Polk County, the setting for Naked in Garden Hills; to Broward County, setting for Karate is a Thing of the Spirit and home of Broward County Community College, where Crews taught at the time his first story, "The Unattached Smile," was published; and finally, to Gainesville, setting for The Hawk is Dying. There is a picture taken in the late 1980s of Crews smoking in his office, fourth floor of Turlington Hall, and his black, nearly indestructible typewriter before him on his desk. Florida Center for the Book, 1994. Brochure, double-sided, unfolds from 4 inches x 9 inches to 2 feet x 15 inches. 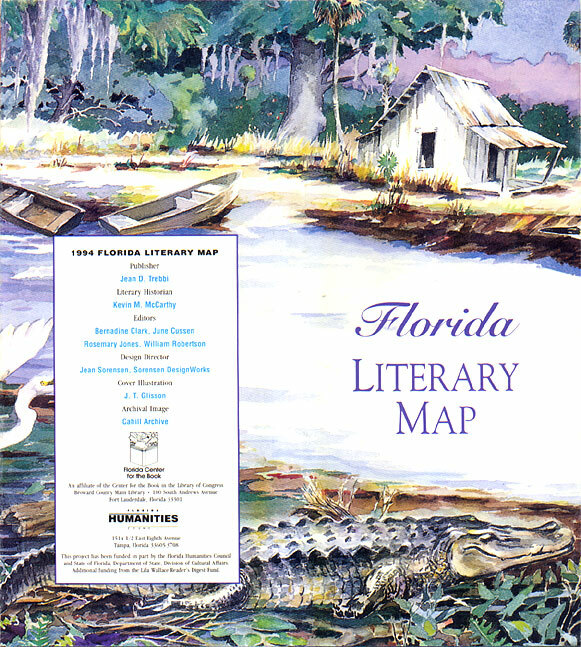 Illustrated brochure/map of Florida's literary history. McCarthy's essay, "Paradise for the Written Word," lists numerous authors who made Florida their home or wrote about the state, including Tennessee Williams, John Muir, Ernest Hemingway, etc. Quotes from Crews's essay, "Why I Live Where I Live." Profiles fourteen Florida authors. Examines Crews's life and writing career. Notes that Crews taught Junior High School English in Jacksonville, Florida, after graduating from the University of Florida in 1960. Major 20th-Century Writers: A Selection of Sketches from Contemporary Authors, first edition, volume 1: A-D. Provides biographical details, including author's home address, reviews and critical reaction of his work to The Knockout Artist. Also includes a list of biographical and critical sources. Major 20th-Century Writers: A Selection of Sketches from Contemporary Authors, second edition, volume 2: Ch-G.
Southern Writers: A New Biographical Dictionary. Joseph M. Flora and Amber Vogel, editors. Louisiana State University Press, 2006. Oddly, Crews did not appear in the 1979 edition of Southern Writers: A Biographical Dictionary. An oversight that has been corrected in the long-awaited second edition. A slightly longer version of the of the bio note appears in the featured essays section. Schafer examines Crews's work to The Knockout Artist. Article contains relevant biographical information. Fifty Southern Writers after 1900: A Bio-Bibliographical Sourcebook. Joseph M. Flora & Robert Bain, editors. Dictionary of Literary Biography 6. Shepherd provides a brief critical examination of Crews's books to Blood and Grits. Crews's date of birth erroneously noted as "6 June 1935" ("[F]or the record, he was born June 7, 1935, at Alma, Georgia." Hargraves ix). American Novelists Since World War II 3rd series, vol. 143. James R. Giles & Wanda H. Giles, editors. Spikes provides an account of Crews's early life and career. For each book written to Scar Lover, Spikes summarizes the story, examines thematic issues, and covers the spectrum of critical reviews. Also included are reproductions of first edition dust jackets for This Thing Don't Lead to Heaven, The Knockout Artist, and Scar Lover. Includes bibliography of selected interviews and references.